Is it chile or chili? The word “chili” is derived from the Aztec dialect and refers to plans known as capsicum. The correct spelling of chile – with an “e” at the end – is the authentic spelling of the word. Over time, English linguists changed the spelling from chile to chili, which refers to the bean-based dish, rather than the pepper. Ripe chiles are gathered into full, colorful ropes called ristras. 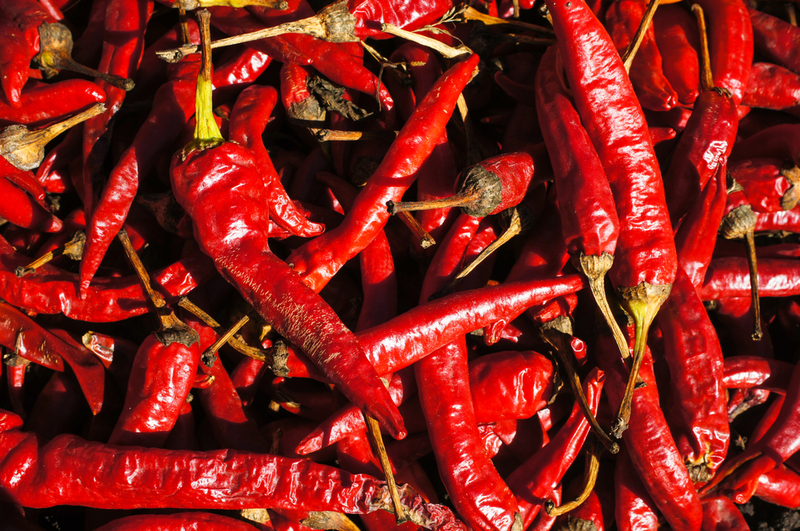 Ancient residents of New Mexico and Colorado dried chiles to use throughout the winter, a practice that is remains common today. When you buy a ristra, it’s recommended you hang it outside for two or three weeks to air it out and prevent chiles from molding once brought inside. Samuel P. Arnold, founder of The Fort and well-known food historian, is renowned as “Denver’s own chile guru” by Bon Appetit magazine. 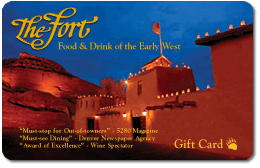 He started the Colorado chapter of the International Connoissuers of Green and Red Chile, and left his mark on the culinary landscape of the West when he introduced the flavor to many of his dishes following The Fort’s opening in 1963. 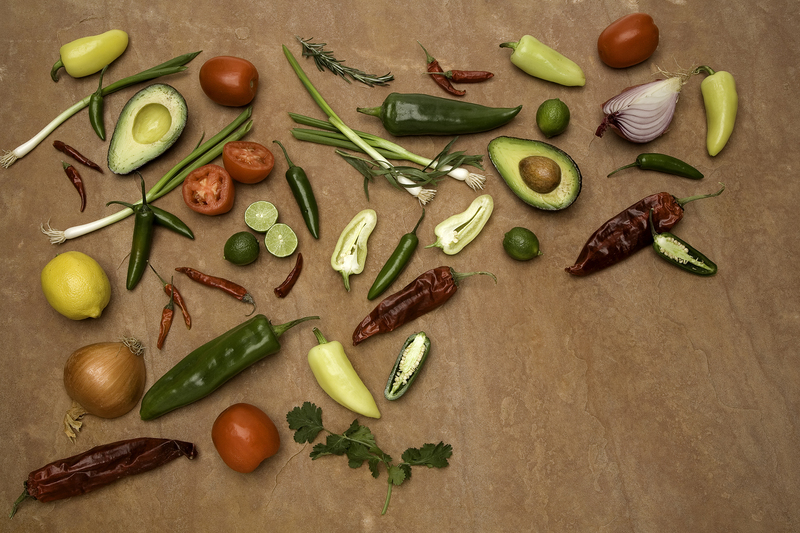 The Fort’s menu has always been rich with chile, incorporating the flavor into many of our dishes. 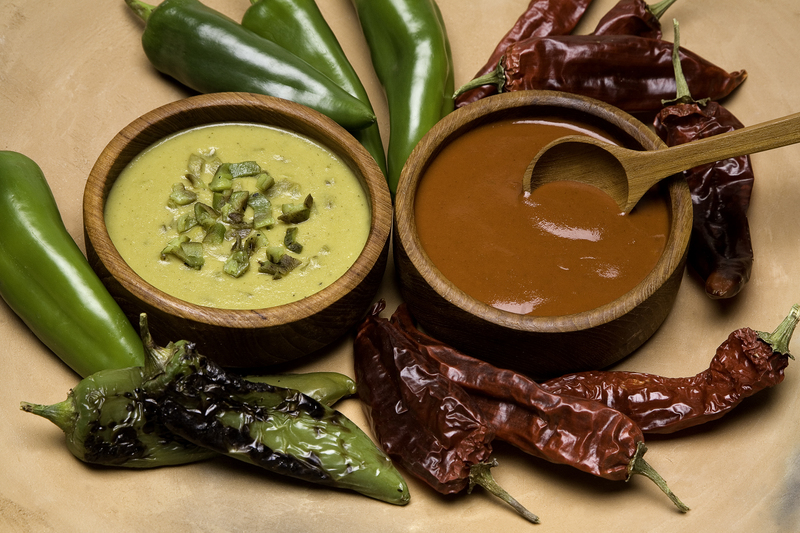 Make one of our favorite chile-based recipes, Holly’s Ristra Chile Sauce, at home. Place the olive oil in a large saucepan over medium heat. Stir in the flour and 1 tablespoon of the Mexican oregano. Stir consistently for 2 minutes, until the flour turns golden brown. Slowly whisk in the chicken broth and stir for 1 minute. Set the sauce aside. Rinse the chile pods under lukewarm water wearing rubber gloves. Break off the stems, open the pod and wash the inside of the chiles. In a blender, combine the chiles, 1 cup boiling water, garlic, remaining 1 tablespoon of oregano and ½ teaspoon salt. Put the lid on and puree. Press the puree through a coarse strainer into the chicken broth-based sauce. Stir well until combined. Simmer the sauce, stirring often, for 25 minutes. Add salt to taste. Top your favorite entrée with the sauce, and enjoy!